The turnout falls short of Lionsgate's $20m (£15m) estimated figures. Directed by Neil Marshall, the film stars Stranger Things' David Harbour as a demon who switches satanic allegiance to protect humanity from evil. Based upon Mike Mignola's graphic novels, tensions reportedly plagued the R-rated superhero production. The Chicago Sun-Times described it as "loud and dark - but almost instantly forgettable," while the Washington Post lamented its "flat performances and incoherent story". 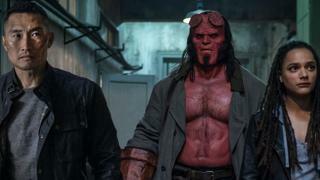 However, William Bibbiani, a writer at TheWrap, heaped praise on the effort, saying Marshall's Hellboy amounts to a "horrifyingly good time". "It captures the breathless quality of reading 30 issues of a single comic-book series in one sugar-addled afternoon, shoving as many amazing characters and storylines and images into one film as it can possibly hold," he said. The film's release comes just over a decade after the last of two movies from Oscar-winning director Guillermo del Toro - who cast Ron Perlman as the lead in 2004's Hellboy and its sequel Hellboy II: The Golden Army, in 2008. 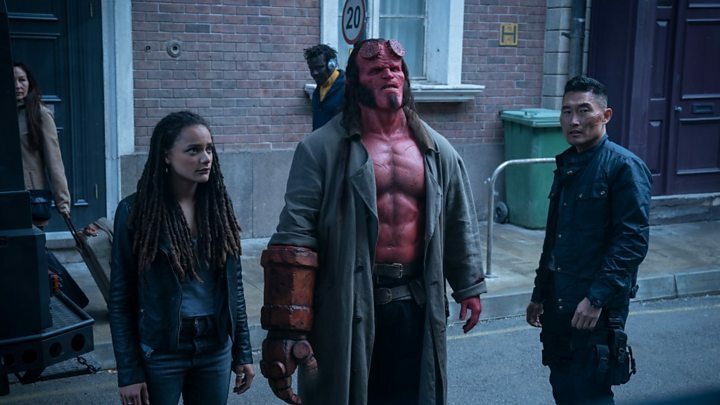 Sci-Fi Now film critic Amy West told BBC News : "Guillermo del Toro's Hellboy has become somewhat of a cult film since it came out fifteen years ago, so there's a sense of fan loyalty to those films that might have dented the new movie's chances. "We live in a time where cinema is dominated by franchise films, reboots and series' continuations. Some, like the Marvel Cinematic Universe and Star Wars, eclipse other slightly lesser-known movies of the same ilk, which also may have harmed Hellboy's chances. "There's also the chance that it's drastically low rating on Rotten Tomatoes hindered its box-office performance. Perhaps audiences really do listen to critics' reviews after all?" Den Of Geek's staff writer Rob Leane agreed, telling the BBC that Del Toro's formidable shadow added to a "perfect storm of negative influences" dooming the remake to box office failure. "From the start, there have been segments of the character's fanbase that were disappointed that this reboot exists, given that director Guillermo del Toro and star Ron Perlman both expressed interest in coming back to make a third Hellboy movie in their already-existing franchise. "Instead of that Hellboy 3, Lionsgate opted to produce a Hellboy reboot. It garnered a lot of bad reviews, and reports quickly sprung up claiming the film's production was a difficult one with a lot of disagreements between the director, producers and actors on-set." Despite Hellboy's woes, support for the superhero genre remains strong. Warner Brother's light-hearted Shazam! - based upon the DC character - continues to top the charts, grossing $258.8m (£198m) worldwide. This trend is set to continue with Avengers: Endgame and Joker both "exciting prospects coming up in the comic book movie pipeline," said Leane. "With those films to enjoy and look forward to, paying to see a poorly-received Hellboy reboot may not seem that appealing."